This listing is for the medium size mask only. 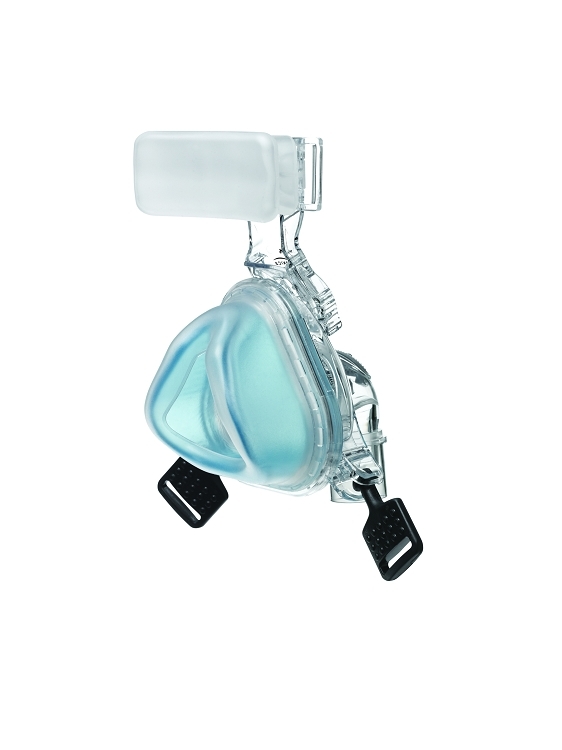 The ComfortGel Blue nasal mask is available in four sizes petite, small, medium, and large. 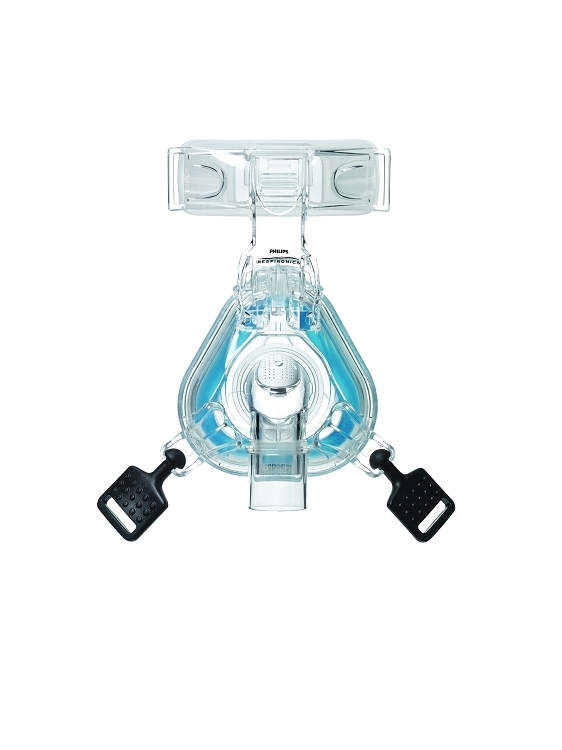 If you need a different size this is the link to the product page listing all four sizes of the ComfortGel Blue nasal cpap mask. The part number for the Medium ComfortGel Blue nasal mask without the headgear is 1070042 but the cost is the same regardless so we only offer it with the headgear. The Medium size ComfortGel Blue Nasal Mask is a premium mask that delivers the ultimate in comfort and customization. New generation gel technology cushion is soft and conforms to the users face for added comfort. StablitySelector raises and lowers for proper mask angle, seal, and fit. Premium forehead pad improves comfort and fit. 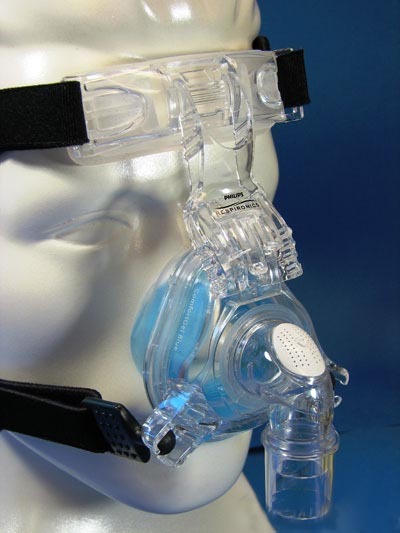 Ball-and-socket headgear attachments enable free movement and easy mask removal. Angled exhalation micro ports assure quite operation and redirect air away from a bed partner. 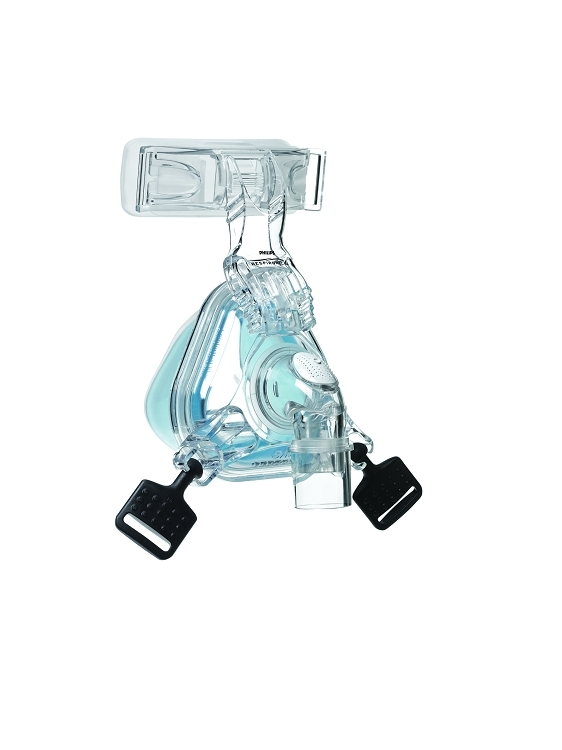 Two 360§ swivels allow tubing to move more freely.